You are here: Home / All Categories / Know Your Beef Cut! I recently bought some brisket from an American grocery store. But when I brought it home and cooked it, it looked and tasted different from the Yangjimeori (양지머리 – also labeled “brisket”) that I usually buy from the Korean supermarket. And this is not the first time– it has happened to me many times before and always wondered why. I had a feeling that maybe the two beef cuts were not from the same part of the brisket. And so I started my quest for the truth.. I have researched for hours on end trying to figure out how Korean beef cut and US beef cut correspond to each other. OK, yes, they use quite different primal cuts (primal cuts are largest units of cuts that is further divided into individual retail cuts that are sold at stores) – and that’s fine. But what confused me terribly were the English cut terms used in Korean documents (I figured out eventually – after much frustration- that the terms used in Korea are mostly Australian and Canadian terms. Probably because US beef import was banned from 2003-2008 ). What was also frustrating was even within the US, the cut diagrams and names were not always the same. BTW, if you want to know more about Korean vs US pork cuts, read more at my Know Your Pork Cut!! post. Did you know that the US beef cuts are usually around 22, French and English cuts are 35 and the Koreans beef cuts can go up to a staggering 120? However, the most popular cuts used today in Korea cooking is 50 including almost all the organs, head and tail. During the Joseon dynasty, Koreans enjoyed beef a lot and the term “one head with 100 tastes (일두백미)” came about. It referred to the fact that one cow can be cut to create 100 different tastes. Before Korean started to import beef, beef was always very expensive and this is probably why every part of the cow was utilized in Korean cooking. Americans love steak, therefore, many primal cuts of beef are cut into cross sectional thick pieces to produce all different tender cuts of the steak. After that, bigger chunks used whole as roasts (for BBQ) or cut into cubes for stews or kabobs. Finally, any miscellaneous, not-so-tender meats are usually gathered together to make ground beef. Koreans love soups and grilled meats. 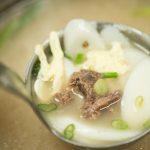 So any tough meat–including tendons and bones–are boiled in soups (탕 tang) or cut into very thin slices against the grain (sometimes paper thin as in chadolbaeki/chadolbaegi (차돌백이) and grilled (usually unseasoned). More tender meats are sliced a little thicker and marinated to make bulgogi. The very tender meats are cut even thicker and grilled, unseasoned. Ribs are cut thin (as in LA Kalbi) or fanned out, marinated and grilled as Korean BBQ Kalbi or braised/boiled. The table below lists the most widely used Korean cuts grouped under US primal cuts along with their corresponding US cuts. Chances are, you probably won’t need half of the cuts I listed here but I wanted to make the table somewhat complete – yeah, it’s an obsession I have…This list will definitely come in handy if you ever visit a legitimate Korean BBQ restaurant that serves a whole slew of different cuts of meat for grilling – each with a different texture and flavor. 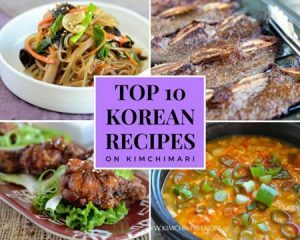 In addition, I also discuss which beef cuts work best for of each method of Korean cooking. 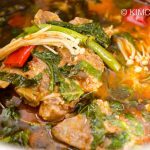 Tip : start with cold water and meat, bring to boil and simmer until meat is very tender. Add onions, green onions for additional flavor. Tip: Usually cut into small thin bite size pieces. Always cut against the grain. Tip: The more tender meats are sliced and then grilled, unseasoned. 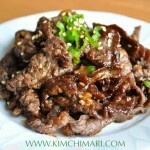 The more tougher meats are best marinated and grilled as bulgogi. Tip: Meats are first cooked slightly and then well seasoned, simmered in sauce until reduced, for a long time making the meat fully tender. Tip: To keep the flavor within the meat, cook in boiling water. Use any or all of green onion roots, peppercorns, garlic, onion and rice wine for smoother taste. Slice against grain – see my Gogiguk post. BTW, suyuk is meat that is simply boiled and served in slices and Pyeonyuk is suyuk with fat and water squeezed out by further pressing with heavy weights to wring out any fat or water from the cooked meat. 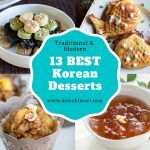 Whew..I almost gave up on this one…Writing this post was even more exhausting than my kimchi post. Hopefully, it’s helpful. Also, the list does not include any of the misc parts such as head, tongue, feet, tail, stomach and other organs because that’s a whole different post. 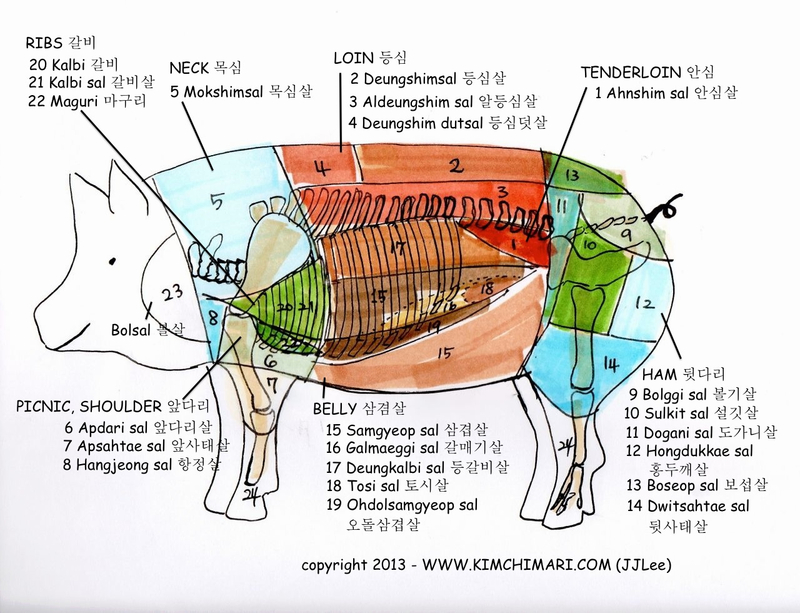 PS – If you want to know more about Korean Pork Cuts – check out Know your pork cut!! Thank you for all the hard work you put into this! It’s exactly what I need. We have been living in Pyeongtaek for about three months, and I am always flummoxed at the butcher! Now I know exactly what to look for. I refuse to buy meat or vegetables at the commissary and this will help me to navigate the meat counter at the local markets. Awesome!! So good to hear that my hard work is useful to others. 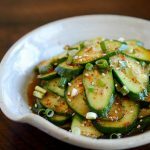 I also have posts about Pork cuts, soy sauces, doenjang, etc. if you need more info on those. Hope you find a friendly butcher. Most Koreans love to be helpful so good luck! And thank you for leaving me this lovely comment. This is so awesome! This post was exactly what I needed, thanks! Sure! You are very welcome – it was a LOT of work but I feel it’s definitely worth it. Thank you for the appreciation. OMG! I’m Korean and just moved here US 8 months before. I really wanted know detailed meat cut names like this post! YAY!! That’s great-glad you found my blog and the post useful. Thank you for leaving me a comment and for subscribing too!! Good luck! Hi! So the short answer is probably to use Yangjimeori. That is probably the easiest way to do it and because Koreans use Yangjimeori to make stock, it would be quite easy to buy it in big chunk. The only problem you may have is that it may have a little too little fat. Now, the long answer is that Koreans split apart the American Style brisket into two parts: Yangjimeori and Chadolbaegi. With the fat part staying with the Chadolbaegi. See my Yukgyejang post for more discussion about this. So if you have access to a butcher, the complete American style brisket would be before they are split into two Korean cuts. Perhaps you can buy Chadolbaegi unsliced and then combine the two cuts (tie it with a string) and then bbq. Hope it works for you. Good luck! If everyone on the internet blogs useful things like that, we will have world peace. Thanks, you life saver! Hahaha.. I love to hear that! You just made my week!! Thank you so much for your comment. I got a Korean Hot pot for Christmas . This post is great. Just what I needed. Lovely!! Hope you make some great shabu shabu or jjigae with it! 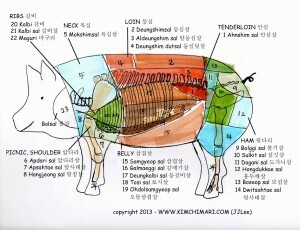 This is a WONDERFUL blog post about the differences between Korean and US meat cuts. It has the Korean names for beef and pork cuts, and does a great job explaining how these cuts match similar US cuts. Check it out! This is so helpful. I’m planning a bbq for a group of ten adults and about five children. Rather than do the same old boring hamburgers with frozen patties and chicken, I would love to do a bbq–low and slow. What would you recommend? Also, did you put a book out yet? I would love to have this book on my kindle app to use when I go shopping. I’m going to put a link of this site on the Facebook group called “Cooling in Korea.” Thanks, you are awesome for doing this. I am so glad you found the post useful. Hope you get the meat cut you need! Thanks for stopping by. Thank you very much for your posting! We recently moved to Korea and though it is fun eating out, it can get expensive especially if we eat grilled meat. I wanted to grill some meat at home and found your post extremely useful! Thank you very much. So glad that my post was helpful. If you buy good quality imported beef at dept stores or emart, there is no need to spend so much on expensive hanwoo(한우)/korean beef! Reblogged this on d'liteful cravings. This is Awesome!!! I was born in Korea and moved to US. I always have difficult time translating which cut is which. Thanks! Glad you found my blog! I also have one for pork cuts should you need one. Thanks! Great post! I just moved to Korea 4 months ago and this is very helpful. I have a question I’m hoping you can answer. I am making a roast in the crock pot for Christmas using a chuck or round roast. What cut of meat should I get? I’m shopping at Home Plus tonight. Thank you!! Thanks!! Hmm..a whole roast cut may not be readily available in Korean markets. I am not very familiar with Home Plus but I think you can certainly ask the butcher separately if you can buy 덩어리 (dung-uh-ri) 고기 (gogi) meaning uncut, lump meat. 보섭살 (boseop sal) is rump roast, 우둔(wudun or woodoon) is round, and 등심 (deungshim) is chuck. Hopefully you can find one of those. You can also try telling the butcher, you want to do beef roast. They may actually understand the roast beef part. 🙂 Hopefully you will find some good meat! Have you also tried visiting a Costco store? They may actually have some meat already cut for roast beef. Good luck and Merry Christmas!! Life saver. Thank you so much. Yes 업진살 is indeed the belly part. I have had bbq of that meat part in korea and its reaally good! Thanks! Hello Angie! So glad you found my blog! For cheaper cuts of meat, you can buy cuts from the Shank or Round area. 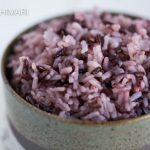 Among the cuts I have for Jjim, Jorim and Suyuk – Sahtae (shank) , Wodun(top round) and Seolkisal(bottom round) are inexpensive but also works great for slow cooking. Ask to see these cuts and choose ones that look good to you. Hope this helps! Let me know if you have any more questions. Thanks! Thanks. This has been very helpful. Have you tried the short ribs from Costco? It’s not as tender as the kind sold at the Korean markets. Are they from different parts of the rib? Hi.I’m glad it was helpful. I assume you are referring to the *boneless* short ribs from Costco? Yes,I have had them. I’m pretty sure they are actually not from the ribs. Probably chuck/shoulders..because they have way less fat and yes, you are right, not as tender as the ribs sold at Korean markets. Costco “rib” meat are good for Kalbijim (stewed for a long time) or should be marinated for a long time with some tenderizers and cut across the grain into thinner pieces if you are going to BBQ them. Thanks for stopping by! Well, I’m duly impressed. Your research and knowledge is most impressive. My “littleKorean” is in the Korean Bar-B-Que Restaurant business and she knows beef. In fact several Korean Bar-B-Que Restaurants have come to her to help set them up. This site is now permanemtly locked away in my “Recipe” file along with family secret recipes I was able to get my Mom to write down before she passed away. 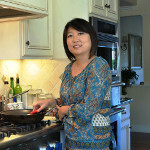 I’ll keep watching for your blogs to become more knowledgeable in Korean Cooking. I’m even sending this on to a friend who is addicted to Kim Chi and Korean dishes. My wife taught me when first we met that the key to Korean Cooking is the eyes. The redder the paste, soup, marinade the hotter it is. Truer Words Were Never Spoken in Englis or Korean. Why..thank you Phillip! The beef post really took me days to finish.. and I have to say that I am still not 100% satisfied with the result but it was the best I could do. I would have loved to meet your wife and ask her all about beef. Thanks again for passing my blog to your friend. I really appreciate the time you took to do this research. My father was a butcher and a meat cutter. I tried to learn as much as possible but much of it was learned by buying primal cuts and cutting it myself. Most of the individuals that work in the supermarket meat department don’t know anything about cuts of meat or what part it comes from. Since my memory fails me (although I’m only 52) I carry a beef chart with written cuts and the different names. I don’t go wrong usually. Since I just found a Korean market that sells whole fish and also meat your info will be very helpful to me. Some I can identify by sight and since I have helped in butchering my own cow, pig and deer I have an idea as to how the cuts should look. I am looking forward to your book and wish you all the best. Again thanks. Thank you..It feels wonderful to hear that the info was helpful to you. I plan to continue the work with pork and then also fish names after I settle in Korea. 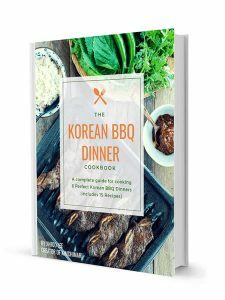 My dream is to write a book on Korean cooking that is authentic but yet geared towards non-Koreans or Koreans born and raised outside of Korea who may have little or no basic knowledge about Korean foods while also having limited access to Korean ingredients. Please stay tuned! A good article to accompany watching the middle episodes of the TV series Les Grands Chefs, where Sungchan and Bongjoo compete to find and butcher the best cow! Nice! I don’t think I have ever watched Les Grandes Chefs… I will have to now. Thanks for stopping by! It’s one of the best Korean dramas, I think. It’s available on Drama Fever and Hulu as Gourmet. Great post. When I moved to the West coast from NY decades ago, I found that my favorite steak, top sirloin, was called New York steak everywhere in the country except New York! I stopped reading labels and learned to look at meat. Now I get great deals by shopping cross-culturally; things westerners don’t want are cheap at Safeway and expensive at the Korean market, like tendon meat. But I’m going to study this post until I recognize everything! Ooh, a book! I can’t wait! I really want a kimchi book -I put up my 9th and 10th batches this weekend, one baechu and one pumpkin. I think I enjoy making kimchi more than anything. So amazing! 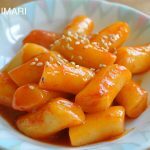 Pumpkin kimchi? I have actually never had that..so interesting! Your blog is so helpful! I’m so glad I came across it. I was wondering if you could give me any tips for keeping galbi fresh after it’s been cooked. We’re throwing my son’s first birthday party and wanted to serve it but we’re concerned how the galbi will taste by the time guests are able to eat it. I don’t want my husband grilling over a hot bbq after the guests have arrived. Do you think it will be okay if we grill it in the morning and just keep it in the oven to stay warm until the guests arrived? My husband and mom are concerned that the meat will dry out. What has your experience been? I guess I should mention we are expecting about 30-50 people. Thank you! Hi! Sure, you can grill them ahead and warm it up later in the oven. I have kept them warm in the oven for an hour or so, covered and it’s fine. It may dry out if you keep it in the oven too long though. I would recommend that you leave them at room temp and start warming them up in the oven about 30 min before you serve them(300?) make sure u keep them covered. Warming them up in smaller batches is prob better. 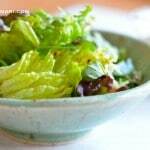 You can also store leftovers in the fridge and heat them up by frying them in a pan. Also a good idea to cook the kalbi a bit less when you grill so it finishes cooking when you warm them up. Serve in smaller amounts or serve in a chafing dish since you are serving many people. Kalbi will harden pretty quickly because it’s so fatty. This is a very awesome and informative post.. You’ve done the internet a service. I make American southern bbq for a living (in korea!) and i get confused with the korean names of the cuts. Hope you stick around bc this page is bookmarked. Thank you for the comment! That post took a lot of work but I am glad to hear that it was helpful. I am not going anywhere so don’t you worry! Btw I also have a Know your pork cut! post if you need it. Yes, excellent post. Thank you.